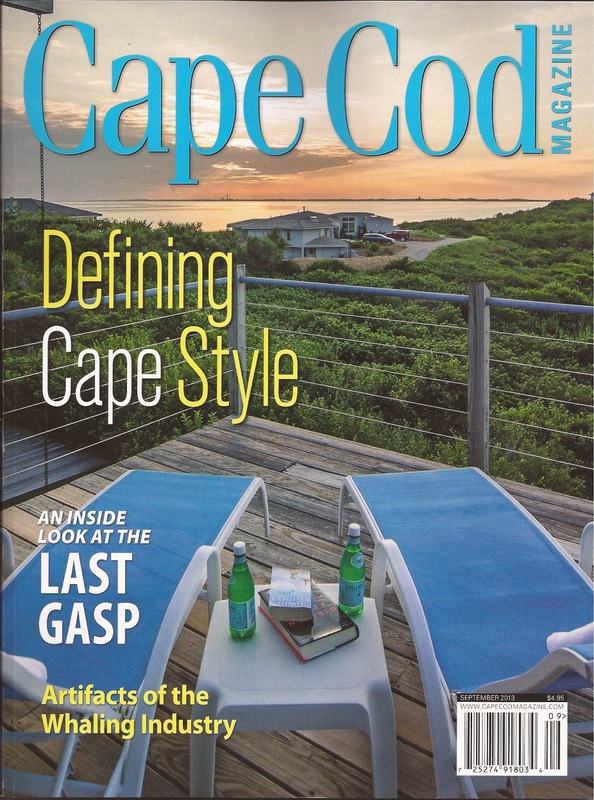 I’m thrilled to share my Truro Beach House project that is featured in Cape Cod Magazine’s September 2013 issue. It’s one of only two outer Cape projects featured and we truly span the gamut of interior design and architecture on Cape Cod. Photogtapher Paul Blackmore, a gifted nature photographer, truly captured the spectacular views outside every window in the home. There are a few small errors in the article – for instance the main living area is upstairs, not downstairs, and the dining table and chairs are Restoration Hardware, not Room & Board. But those are pretty small. I am truly thrilled to have been included and thank my clients for being wonderful to work with on this fun project. The house is available for rental throughout the year, click here for more information.